THROWBACK: The locations of the Los Angeles Fire Department's 106 stations presented in the style of the department's historic print maps. The Times has con­trib­uted data about all 106 fire sta­tions op­er­ated by the Los Angeles Fire De­part­ment to Open­Street­Map, a free and open-source data­base of geo­graph­ic in­form­a­tion. The con­tri­bu­tions were made ac­cord­ing to rules out­lined in Open­Street­Map’s drive to bet­ter map the world’s fire sta­tions. The out­line of each sta­tion was traced from Bing Maps’ satel­lite im­agery, as al­lowed by Mi­crosoft. Names were stand­ard­ized to match Fire De­part­ment style. The LAFD was lis­ted as each sta­tion’s op­er­at­or. Street ad­dresses were re­con­ciled with the of­fi­cial LAFD list. The ex­cep­tion is Fire Sta­tion 80 at Los Angeles In­ter­na­tion­al Air­port, which does not yet ap­pear in Bing’s satel­lite im­agery and could not be traced as a poly­gon. It is re­cor­ded as a point, but its metadata were ex­pan­ded the same as oth­er sta­tions. Out­dated points from the Geo­Names data­base were de­leted from Open­Street­Map. Oth­er LAFD-re­lated build­ings were also ad­ded, in­clud­ing the 911 dis­patch cen­ter, the Afric­an Amer­ic­an Fire­fight­er Mu­seum, the Hol­ly­wood fire­fight­er mu­seum, the re­tired sta­tion near Florence and West­ern av­en­ues and the his­tor­ic sta­tion down­town where “Ghost­busters” was filmed. The data were col­lec­ted as part of The Times’ on­go­ing in­vest­ig­a­tion of the LAFD, which began in March fol­low­ing the ad­mis­sion that for years fire of­fi­cials re­leased flawed fig­ures over­stat­ing how fast res­cuers ar­rived at emer­gen­cies. That pro­ject has yiel­ded a series of data-driv­en stor­ies about the de­part­ment’s per­form­ance. This blog has pre­vi­ously writ­ten about the tech­nic­al meth­ods used to con­duct our in­vest­ig­a­tion and re­leased the base lay­er cre­ated for an in­ter­act­ive map of re­sponse times. Add fire sta­tions op­er­ated by the Tor­rance Fire De­part­ment, which are now miss­ing. Trace build­ings and stand­ard­ize metadata for an­oth­er de­part­ment near L.A. The Los Angeles County Fire De­part­ment’s 164 fire sta­tions would be­ne­fit from at­ten­tion. If you’re not from Los Angeles, im­prove the fire sta­tions where you live. 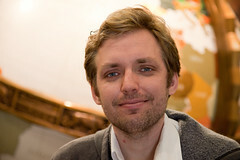 Ben Welsh made this post on Dec. 6, 2012 at 9 a.m. Ben has been a data­base pro­du­cer at The Times since 2007. He de­vel­ops news ap­plic­a­tions for latimes.com and con­ducts ana­lys­is for re­port­ing pro­jects. He lives in down­town Los Angeles but grew up in Swish­er, Iowa.